Provincial Managers of Gauteng, Limpopo and Mpumalanga briefed the Committee on the state of their provinces for the calendar year 2017. The Acting Provincial Manager of Limpopo focused on provincial overview, civic services, immigration affairs, finance and supply chain matters, human resource management and labour relations, counter-corruption and security services, achievement and challenges. On the provision of Smart ID, the live capture was rolled out in Mookgophong only in December 2017. The province had captured 248 644 applications between the period of April-December 2017, with a variance of 42 410. To achieve the annual target of 331 525, in fourth quarter 125 291 applications ought to be captured. There were interventions to assist in Smart card target in the areas of Capricorn, Waterberg, Sekhukhune, Mopani and Vhembe. Interventions included community mobilisation and information sharing and involving traditional leaders and other stakeholders. 21 out of 42 offices had Smart ID card live capture. As at 24 January 2018, there were a total of 20 663 Smart ID cards and 1 591 bar-coded green ID books that were remained unclaimed and uncollected. On birth registration at online health facilities, there was an increase of birth registration since full time secondment of officials at health facilities. At 45 health facilities, the total of 67 523 births registration was recorded. There were late registrations of birth in all categories, that is, one-seven years category, seven to 14 years category and 14 years and above category. Providing mobile unit information, mobile office and services were being rendered redundant due to Internet System non-functionality. Basic services were unavailable in most of mobile offices. Mobile services were no longer serving the intended purpose because they were not functional and not economical. Referring to unabridged certificates, the Department was in the process of digitising its records. The project would assist in finalising cases for Unabridged Birth Certificates and amendments. Targets achieved related to detecting employers in contravention of immigration law, deporting undocumented non-citizens, detecting fraudulent marriages and marriage of inconvenience. With regard to asset management and supply chain management functions, the target of paying invoices within 30 days was achieved. The province engaged in developing skills and employee wellness programmes. The APM (Acting Provincial Manager) of Mpumalanga Province focused on the key performance areas of birth registration within 30 days, detection of employers in contravention of the immigration law, detection of transgressors in contravention of immigration law, deportation of undocumented foreigners within 30 days, detection of fraudulent marriages and marriage of inconvenience and settlement of valid invoices within 30 days of certification. The targets set out in terms of these key areas were achieved. The province captured 157 452 applications from April to December 2017 and 118 068 applications were needed in the fourth quarter to achieve the target. A number of interventions were launched in order to assist in achieving the Smart ID target. There were 31 health facilities in Mpumalanga were connected, but only 15 health facilities were functional. Connectivity was a serious challenge. Challenges included unclaimed and uncollected green bar-corded IDs and Smart ID cards. In order to respond to these challenges, awareness strategies were introduced. The challenges in achieving key areas included shortage of staff, old IMS vehicles, blocked IDs for South African people who were deported during the former regime and were told to apply for IDs prior to former President Mandela’s election and the sheriff targeting offices when executing court orders. The province budget for 2017/18 was R160 427 000 and actually spent R120 860 626. The value of all asset stood at R79 629 143.79, whereas the revenue collected was R52 435 990.88 in 2016/17 fiscal year. The Provincial Manager of Gauteng said there were challenges in terms of birth registration. Cultural traditions regarding naming of child and having to remain in house for 30 days prevented registration at online facilities or offices in less than 31 days; hospitals admitted mothers in labour without identification; unavailability of biological father when consent was required for the child to bear father’s surname; and there was no connectivity at some hospitals. Further challenges included unclaimed IDs and uncollected Smart ID cards. With regard to immigration operations, operation FIELA was launched on 23 January 2018 with SAPS and other law enforcement. During 18 January 2018 to 4 February 2018, a total of 13 operations took place during this period. More than 200 foreigners were arrested and deported. The total province budget was R423 319 000 in 2017/18 and actual expenditure was R320 663 963.20. The value of assets stood at R128 680 942.56. The revenue collected in the course of three quarters was R160 923 548. The Chairperson asked Members to communicate their questions to the Committee Secretary as there was no time for question and answers. Members spent more time on an issue which was not on the agenda, viz the Gupta issue. After a long debate, it was agreed that all Gupta related matters would be discussed on Tuesday of the following week. The Chairperson said the discussion on the provincial managers’ report could have taken a place a long time ago. Members should engage with reports and see how the Department of Home Affairs could be assisted. Before considering the reports, there were a few things he wished to highlight. He noted that there was a court ruling on the voters’ roll and voters’ physical addresses. The court gave the Independent Electoral Commission (IEC) until June this year to have resolved these issues. The IEC had planned to have an open day on 11 March to deal with the issue and had released a statement to that effect. The court indicated that 75% on the Voters roll had physical addresses where the remaining 25% had no clear or no physical addresses appearing on voters’ registration. The day of 11 March would give an opportunity for those who are turning 18 years old to register. He raised the issue of the previous meeting which had been postponed. Mr Adam Salmon, should have briefed the Committee on the State of the Nation’s (SONA’s) impact on Home Affairs. The meeting did not occur because the SONA was postponed. Every Member should have received a document containing Mr Adam’s response to the SONA. He asked members to confirm whether they received a document from Home Affairs in relation to naturalisation of the Guptas. Mr M Kekana (ANC) said that he had a question on the Guptas. The Committee had prolonged the issue, and suggested the issue should be deliberated, otherwise the Committee was doing injustice to citizens, who needed to know what really happened. He proposed that matters be discussed before the provincial presentations. Mr M Hoosen (DA) said the issue around naturalisation was incomplete business from last year. He expressed his concern about the Committee’s tendency of dragging issues. On the Guptas issue, he proposed that the political head of the DHA (who took the decision to naturalise Guptas) should be invited to answer Members’ question. He felt the matter could not be discussed with senior officers of the DHA who did not take the decisions. He asked when the Committee was planning to summon or invite the former Minister of Home Affairs, and now Minister of Finance, to come and clarify the issue. Ms H Hlope (EFF) said 10 and 11 March were dates on which political parties were going to mobilise people to go and register. Regarding the issue of the Guptas, a number of issues were raised in the course of last year. These issues included a letter addressed to the Chairperson, in which the question of the leaked email was raised. She asked what process would be followed for the purpose of ensuring that all those matters were discussed. She asked further whether these matters could not be prioritised. She supported the view that a political head of the DHA should come and brief the Committee because it had transpired that it was the Head who took the decision. When Mr Malusi Gigaba left the DHA to become the Minister of Finance, other Ministers who became the Head of the DHA stated that they were bound with the decision of the previous Minister. The matters were delayed until the Committee would be dealing with fugitives who were running from justice. Ms N Dambuza (ANC) proposed that the issue of the SONA should be included on the agenda, and be dealt with after provincial presentations. She confirmed that she received documents from the DHA and indicated that there were still some documents that were not released. Some documents were still missing, and some documents received were not clear. Pictures were not clear. One could not detect or identify what was going on these pictures. She supported the view of Mr Hoosen that the Gupta related issues should be discussed in another scheduled meeting. In that meeting, all outstanding issues should be discussed and deliberated on. She was of the view that the Minister could be called in to answer some questions; however, this should occur after documents were discussed and other related issues were deliberated on. The Committee should rather focus on getting all information requested in order to deal with these issues efficiently and effectively. Ms D Raphuti (ANC) also confirmed that she had received the documents. She felt the Committee should engage with the SONA and it should be included in the agenda. There was actually nothing to discuss as the SONA was clear, logical and coherent. The SONA required civil servants to be committed and do their work. They should go out there to serve and deliver. She was concerned that those who came to present booked flights that would arrive in the morning of the day of presentation. They had to rush from the airport to Parliament and, in most cases, they arrived late. Why could they should not come the day before the day of presentation? Was this due to financial constraints? Why were presentations not adequately budgeted for? Presenters always arrived in a meeting late and stressed, worried and exhausted and thus unable to take the Committee through presentations. This had to change. On the question of the Guptas, the matter was not on the agenda, the discussion should stop and allow the Committee to discuss matters at hand. Mr D Gumede (ANC) was of the view that a day should be dedicated to the Gupta issue. Members needed time to go through documents, familiarise with them and be able to discuss them. Members should not be ambushed to discuss matters that were not appearing on the agenda. He was not against the former Minister coming to present. However, there should be a good reason why the former Minister should be invited. He was convinced that the Director-General (DG) was capable of responding to questions that Members had. The DG was an accounting officer in the Department who should respond to all questions unless in the event the Minister took a decision that overrode the DG decision. In this case, the Minister would have to answer. In principle, the ANC was not against an invitation of the Minister, rather they were proposing that there should be good reasons to invite him. These reasons could be drawn from information contained in documents. The Chairperson explained that the Gupta issue was not on the agenda for discussion. He was merely checking whether Members received information to tackle the issue, verifying whether Members had received the documents from the DHA and whether the documents were authentic. It appeared that all Members had received documents and advised them to go through them in order to be able to engage with them and take informed decisions when they meet. He noted that there were different proposals. Mr Kekana had proposed a discussion on the Gupta issue and the discussion had taken its course without approval. Mr Kekana proposed a meeting to discuss Gupta issues should be scheduled for next week, Tuesday, and should deal with these issues only. The Chairperson reminded him that the IEC was scheduled to present to the Committee. Mr Kekana suggested that there should be two items on agenda: IEC and Gupta. Mr Hoosen disagreed with Mr Gumede. The reason he suggested that the Minister should account was due to the fact that the DG had made it clear that the decision to naturalise the Guptas was made by the Minister. All Members were aware of this. The DG made it clear when he briefed the Committee on the matter. Indisputably, the decision was made by the Minister. It was therefore the duty of the Committee to take the executive to account. There should be no further delays and delaying tactics should not be employed. If Mr Gumede did not have questions, he had so many questions that only the Minister could answer. The Chairperson said he did not hear Mr Gumede saying that the Committee should not invite Minister Malusi Gigaba; rather his invitation should be based on the Committee resolution, taken on the basis of information provided in documents. Ms Hlope said that the time to discuss the Gupta issues should not be viewed as a problem. Members were ready to discuss the matter any time. It could be scheduled to be discussed the following day or any other day in the course of the week. Ms T Kenye (ANC) proposed that these issues be scheduled to be discussed in Tuesday’s meeting along with the IEC presentation. The meeting should be scheduled to take place early morning so that enough time could be allocated to them. The agenda of the day should comprise two items. Ms Raphuti said the issue of calling the Minister should be dropped. Naturalisation was not a major issue because non-citizens were naturalised. This would be an issue after listening to the DG on how an ordinary person could be naturalised. The DG was asked to furnish the Committee with this information. They were needed in order to deal with the Gupta matter. They were needed because every South African should know how a person could be naturalised. The DG should develop a document on naturalisation process and this document should be written in a simple and clear language without usage of big legal jargon. The nation could not be taken ransom for naturalisation of one family. The Chairperson said the issue of the Guptas was not open for discussion in that meeting. It should be noted for discussion for another day. Mr Gumede was of the view that Members should refrain from concentrating on the Gupta issue since it was not on the agenda. If not, Members should vote on whether the agenda of the day should remain as it was or should include Gupta issues. He did not disagree with all submitted proposals, but Members should know that a meeting had an agenda and they should stick to it. He reiterated that Members should read documents provided by the DHA thoroughly and the issue of Guptas should be discussed in the following week, on Tuesday. Ms Hlope remarked that there was no need of voting on how to proceed because the agenda was not an issue. Rather, they were dealing with or discussing an important issue. Members were disagreeing on whether the Chairperson should call the DG or the Minister to respond to their questions. There was a position holding that the DG made it clear that he did not take a decision; rather the decision was made by a political Head. The political Head was therefore needed to respond. The Chairperson should invite the Minister to come and appear before the Committee on Tuesday. He should account. Members – in fact the nation - needed to have a clarification on the leaked letter on the naturalisation. The Chairperson should take a decision and provide Members with the right direction. Mr Hoosen supported the proposal of discussing the issue of the Guptas on Tuesday. He was hopeful that as President Jacob Zuma was no longer in power, there would be a change. He could see the same approach, the same spirit and the same positions being sustained. Nothing had changed. He was deeply disappointed. Ms Raphuti commented that Mr Hoosen was speaking as if he was in charge and as if he was talking to children. He was not the Chairperson and should learn to speak to Members with some respect. Mr Gumede said the Committee should not spend too much time on issues which not on the agenda. He reiterated that there should be enough reasons to call the Minister. That was if the information they were looking for could not be found from the documents or could not be provided by the DG. Should there be still time, these issues could be discussed after the discussion on items on agenda. The Chairperson agreed. He observed that the first and last items on the agenda had been discussed. He said that, on the Tuesday, the Committee would discuss all Gupta related issues. 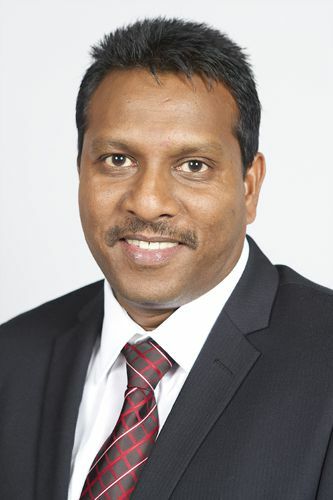 The Minister would not be invited for Tuesday’s meeting, rather the outcome of the discussion would determine whether the former Minister would be invited. There should be a Committee decision to invite the former Minister as he could not be invited by the wish of one Member. Mr Thifheli Matshaya, Acting Provincial Manager: Limpopo Province, took the Committee through presentation. The presentation focused on provincial overview, civic services, immigration affairs, finance and supply chain matters, human resource management and labour relations, counter-corruption and security services, achievement and challenges. On provision of smart ID, the live capture was rolled out in Mookgophong only in December 2017. The province had captured 248 644 applications between the period of April-December 2017, with a variance of 42 410. To achieve the annual target of 331 525, in fourth quarter 125 291 applications ought to be captured. There were interventions to assist in Smart card target in the areas of Capricorn, Waterberg, Sekhukhune, Mopani and Vhembe. Interventions included community mobilisation and information sharing and involving traditional leaders and other stakeholders. It was reported that 21 out of 42 offices had Smart ID card live capture. As at 24 January 2018, there were a total of 20 663 Smart ID cards and 1 591 bar-coded green ID book that were remained unclaimed and uncollected. With regard to birth registration at online health facilities, there was an increase of birth registration since full time secondment of officials at health facilities. At 45 health facilities, the total of 67 523 births registration was recorded. There were late registrations of birth in all categories, that is, one-seven years category, seven to 14 years category and 14 years and above category. Providing mobile unit information, Mr Matshaya noted that mobile office and services were being rendered redundant due to Internet System non-functionality. Basic services were unavailable in most of mobile offices. Mobile services were no longer serving the intended purpose because they were not functional and not economical. On unabridged certificates, the DHA was in the process of digitising its records. The project would assist in finalising cases for Unabridged Birth Certificates (UBC) and amendments. Achieved targets related to detecting employers in contravention of immigration law, deporting undocumented non-citizens, detecting fraudulent marriages and marriage of inconvenience. With regard to asset management and supply chain management functions, the target of paying invoices within 30 days was achieved. The province engaged in developing skills and employee wellness programmes. Ms ND Chiloane, Acting Provincial Manager: Mpumalanga Province, took the Committee through the presentation. The presentation focused on provincial overview, civic services, immigration affairs, finance and supply chain matters, human resources management and labour relations, counter corruption and security services, achievement and challenges. Key performance areas included: Birth registration within 30 days, detection of employers in contravention of the immigration law, detection of transgressors in contravention of immigration law, deportation of undocumented foreigners within 30 days, detection of fraudulent marriages and marriage of inconvenience and settlement of valid invoices within 30 days of certification. Targets set out in terms of these key areas were achieved. The province captured 157 452 applications from April to December 2017 and 118 068 applications were needed in the fourth quarter to achieve the target. A number of interventions were launched in order to assist in achieving the Smart ID target. There were 31 health facilities in Mpumalanga that were connected, but only 15 health facilities were functional. Connectivity was a serious challenge. Among challenges was unclaimed and uncollected green bar-corded IDs and Smart ID cards. In order to respond to these challenges, awareness strategies were introduced. The province budget for 2017/18 was R160 427 000 and actual spent R120 860 626. The value of all asset stood at R79 629 143.79, whereas the revenue collected was R52 435 990.88 in 2016/17 fiscal year. Mr Albert Mastaung, Provincial Manager: Gauteng Province, took the Committee through presentation. The presentation focused on provincial overview, civic services, immigration affairs, finance and supply chain matters, human resources management and labour relations, counter corruption and security services, achievement and challenges. There were challenges in terms of birth registration. Cultural traditions regarding naming of child and having to remain in house for 30 days prevented registration at online facilities or offices in less than 31 days. Hospitals admitted mothers in labour without identification. Unavailability of biological father when consent was required for the child to bear father’s surname. There was no connectivity at some hospitals. Further challenges included unclaimed IDs and uncollected Smart ID cards. The Chairperson said that since it was 13h00, Members should direct questions to the Committee Secretary for compilation, and would sent questions to specific presenters. The presenters would, in turn, respond in writing. Ms Kenye agreed. Members spent too much time on an issue which was not on agenda. Mr Hoosen agreed. However, he proposed that each member should be allowed to ask one question. Ms Mnisi supported the proposal of forwarding their questions to Secretary. Ms Hlope seconded the proposal. She asked what had been done to an allegation that there was an MEC responsible for safety and security, who was a non-citizen. It was alleged that he was a Mozambican. She asked the progress on allegation of an incident of pushing a woman client at one of offices in Mpumalanga. Mr Hoosen remarked that figures illustrating how Smart ID cards were distributed were quite impressive. They illustrated that they were doing their jobs. However, this was not an impression that clients of the DHA had. They had an impression that the DHA was doing nothing because of long queues in DHA offices, resulting in some clients returning home unattended. When this happened, people become angry owing to not receiving services. How did they deal with abuse and anger and insults from the clients and how did they intend to address the problem of long queues. He asked why an appointment system should not be introduced. Clients should make reservation of an appointment and the DHA could reserve appointments in accordance with the number of people who could be served per day. 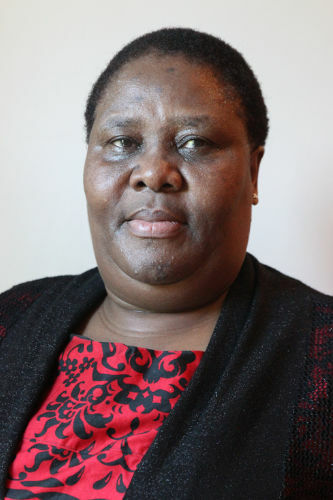 Ms Dambuza raised concern over the birth certificates. She said that most children were born out of wedlock. When mothers died, relatives hardly identified fathers of children, making it difficult to apply for unabridged birth certificates. What happened if the father was unknown? Ms Raphuti said that they should find a strategic and innovative way to mobilise and motivate people to come forward and register births or collect IDs. They should make use of a prominent political figure to motivate people through the SABC. The SABC spent much time on spreading hatred instead of important matters. She suggested the use of cartoons to teach children the importance of IDs. Ms Chiloane responded that she did not receive any formal complaint over the issue on non-citizenship raised by Ms Hlope. Regarding the issue of pushing a client, she went to the office where the pushing incident happened to investigate the matter and found that it was true that a client was pushed. The matter was resolved. Ms Hlope said that she would write a formal letter to her. The Chairperson said that there was no need to write to the Province; hence the matter was raised on the right platform (in a Committee meeting) and there was nothing refraining Ms Chiloane to follow up and report back to the Committee.